The Brigade is pleased to announce that Rev Brian Anderson, Superintendent at East Belfast Mission has been co-opted on to the Brigade Executive. 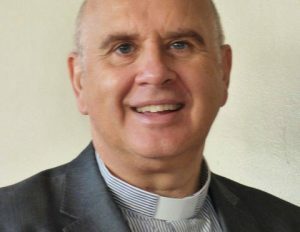 Brian is currently serving as President of the Irish Council of Churches. Following many years of service on the Brigade Executive and in other roles representing the Republic of Ireland the Brigade is pleased to announce the appointment of Mr Leslie Buttimer as a Brigade Honorary Vice President.